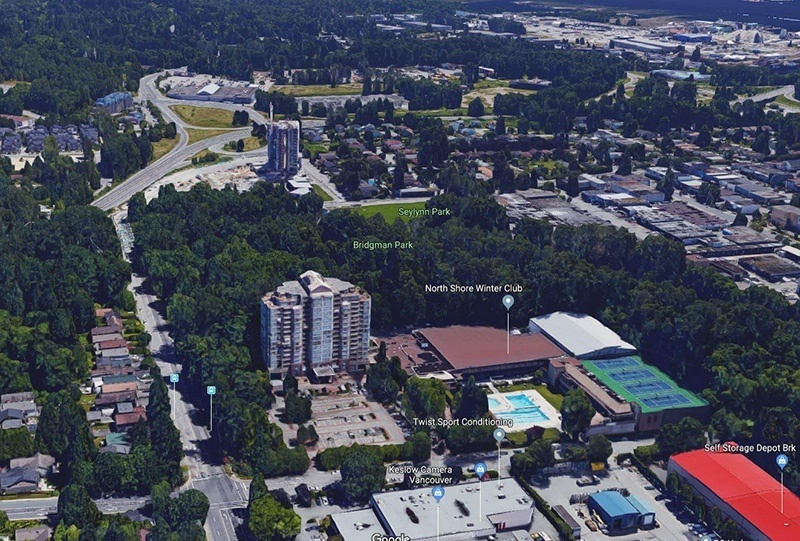 The North Shore Winter Club could be redeveloped into one of the largest residential redevelopments North Vancouver has seen to date. 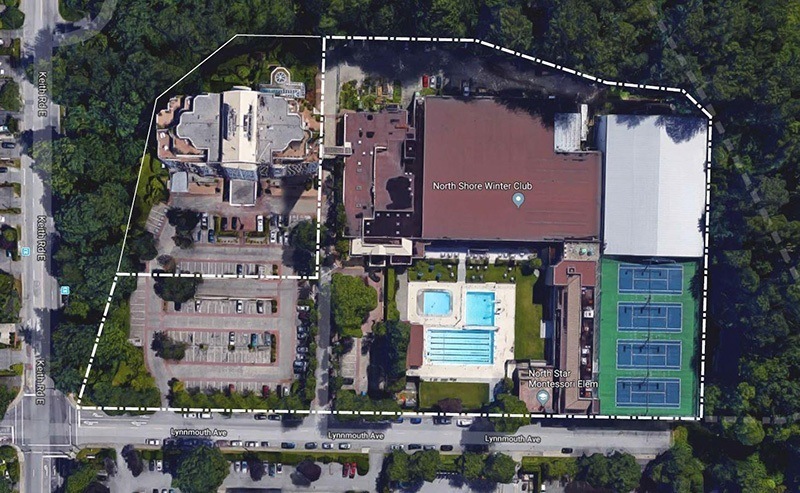 The semi-private athletic and fitness club has partnered with local developer Darwin Construction to redevelop its aging fitness and recreation complex at 1325 East Keith Road into a multi-building residential project. 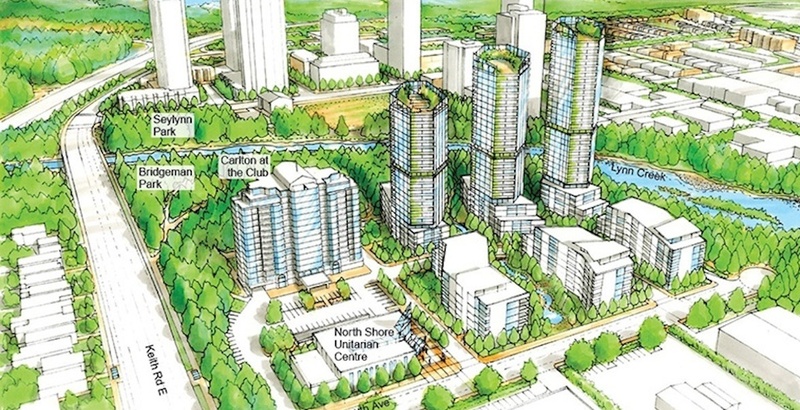 This includes the construction of three towers reaching 26, 29, and 32 storeys in height, plus low-rise buildings up to six storeys. 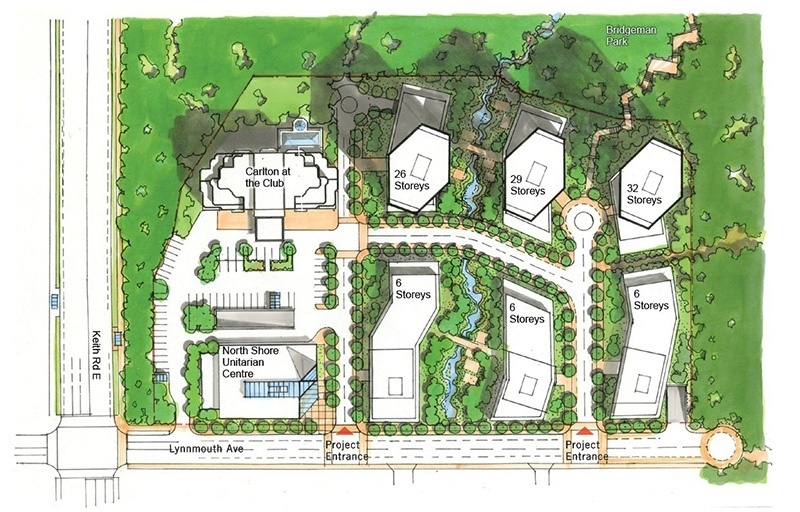 As part of the project, a new community facility will be built on the property as part of the redevelopment’s amenities. In partnership with the North Shore Unitarian Centre, this facility will have: an assembly hall for public events and concerts; a large atrium area for music events, art exhibits, informal gatherings, and community shows; and a lounge area. There will also be improvements to Bridgman Park, located immediately east of the site, plus new public and private green spaces and trail networks as an expansion of existing routes. This includes a connection across Lynn Creek, provided by a new pedestrian bridge planned by the municipal government. In exchange, the Winter Club will be relocated to a new state-of-the-art facility built at a 6.5-acre site at 2420 Dollarton Highway – about one kilometre east of the club’s current location. 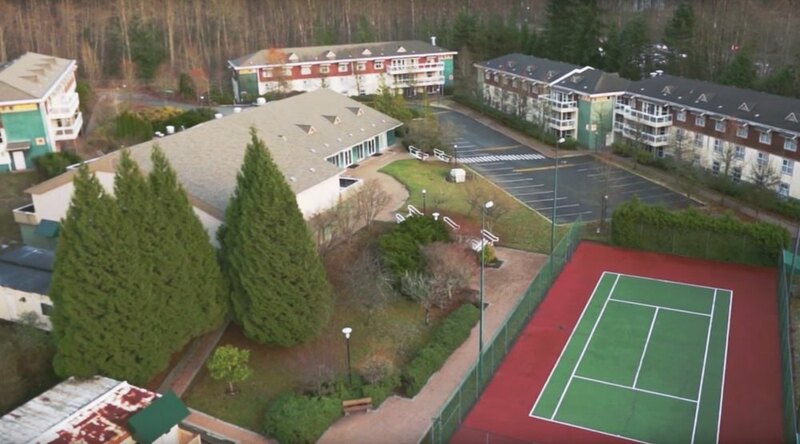 The former international boarding school grounds is owned by Darwin and currently leased to Capilano University, which is using the property’s existing buildings for a 250-bed student residence. 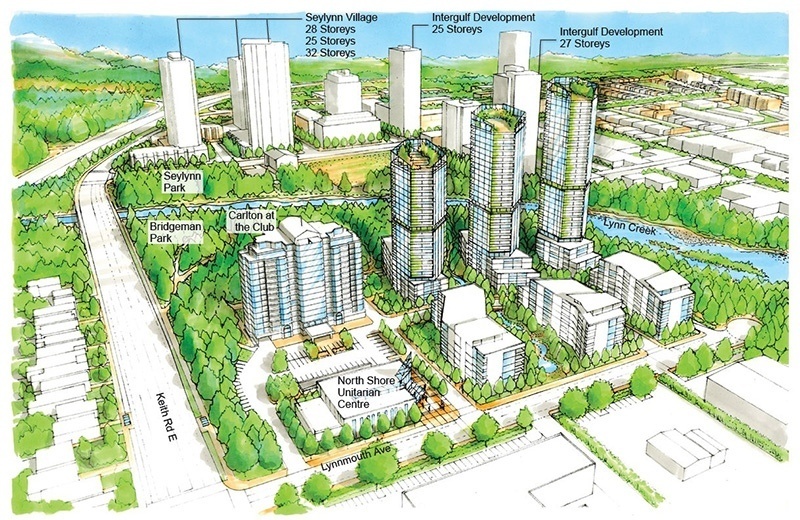 The Winter Club proposal is just one of several tower projects planned for the area as part of the District of North Vancouver’s Town Centre vision for Lower Lynn.